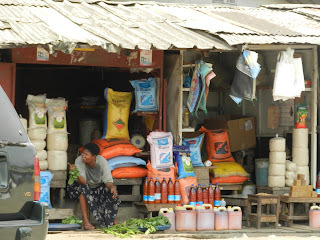 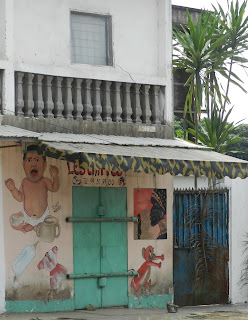 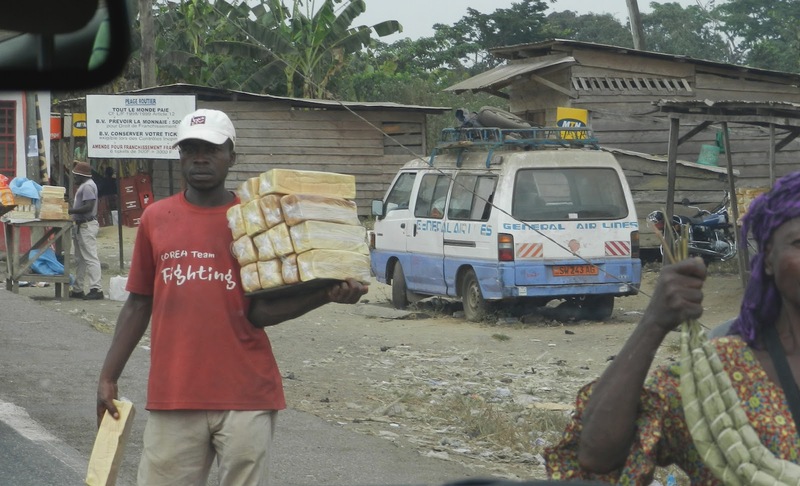 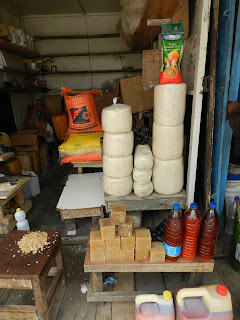 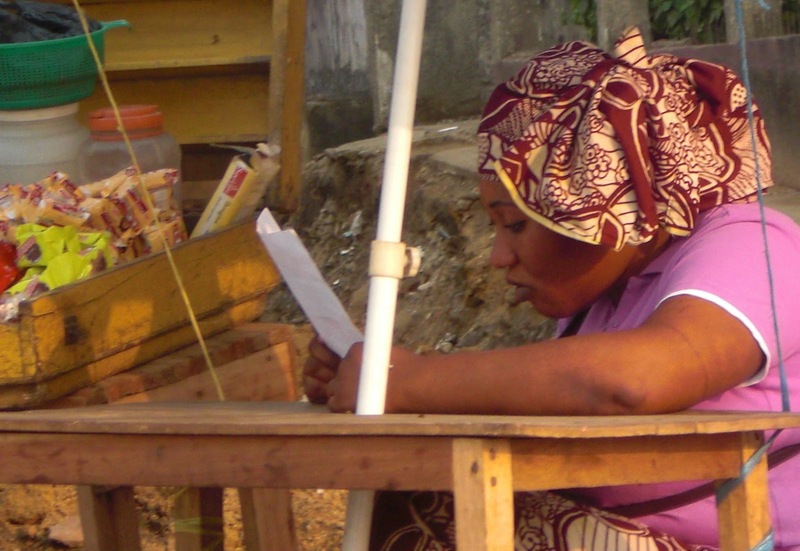 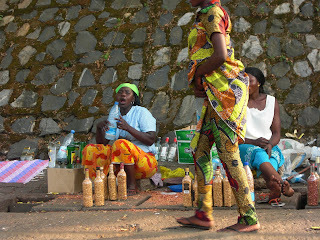 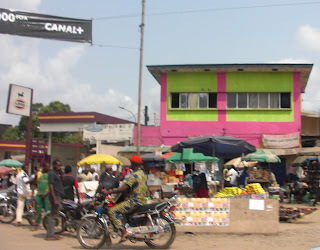 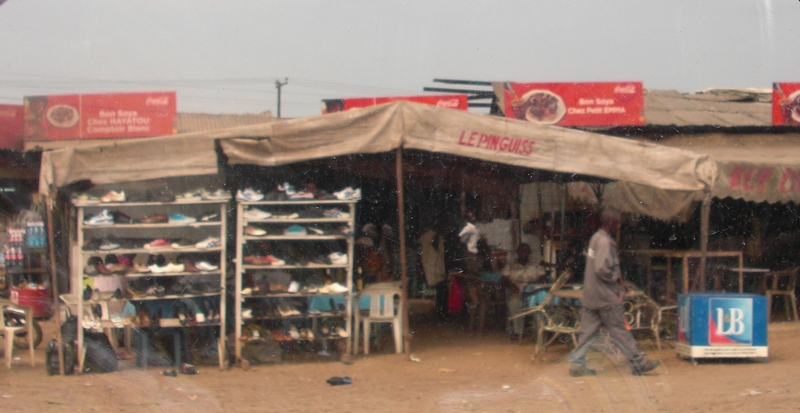 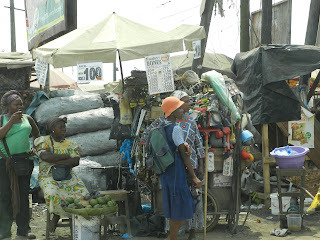 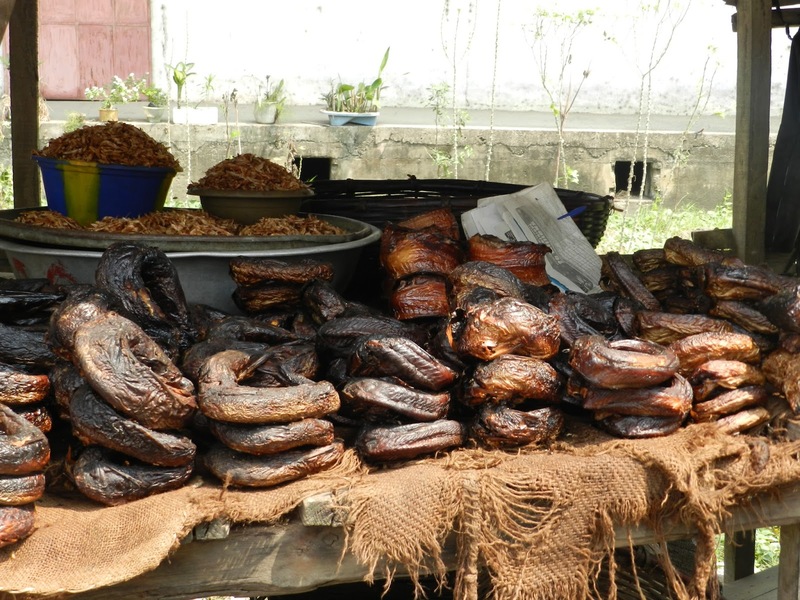 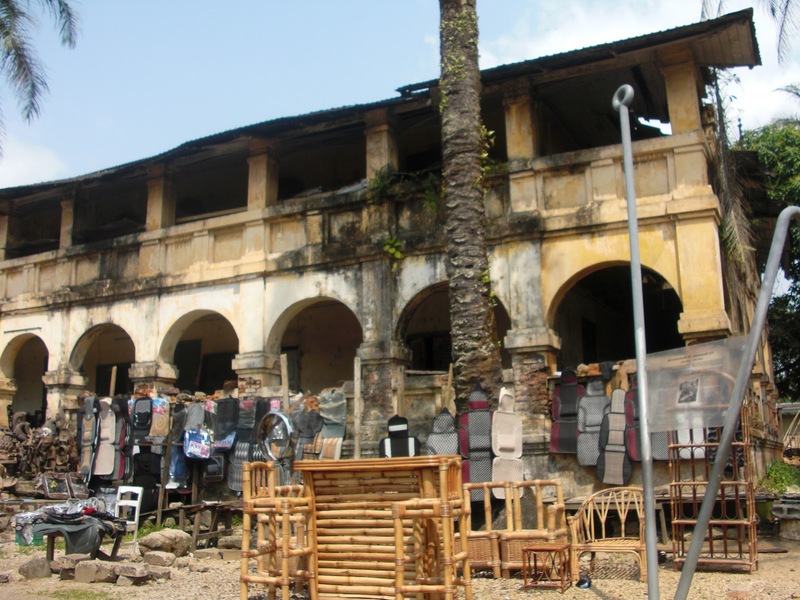 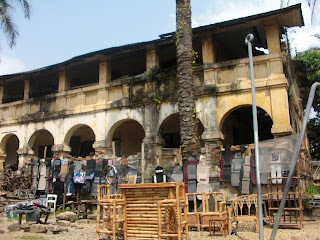 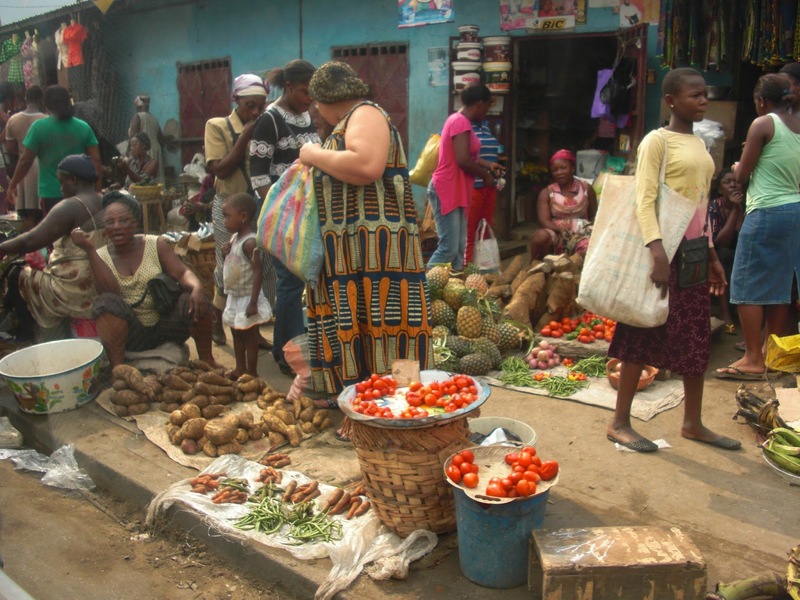 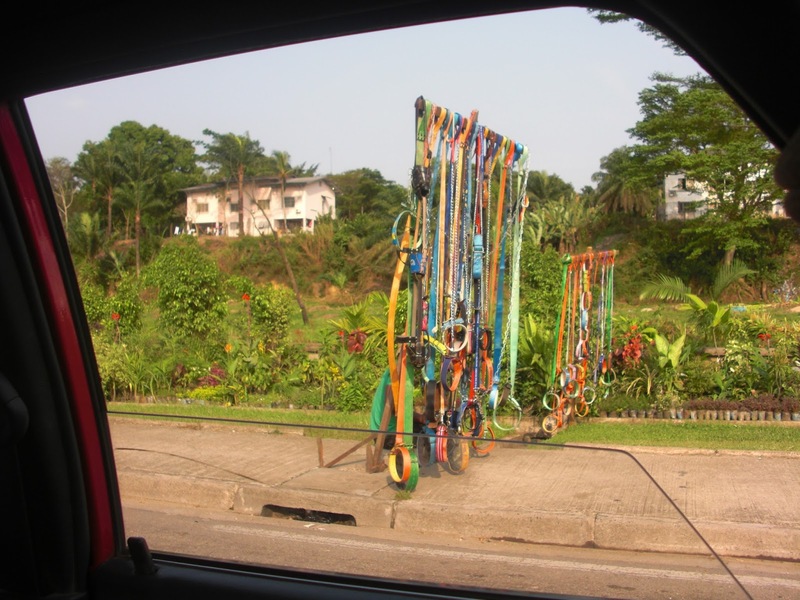 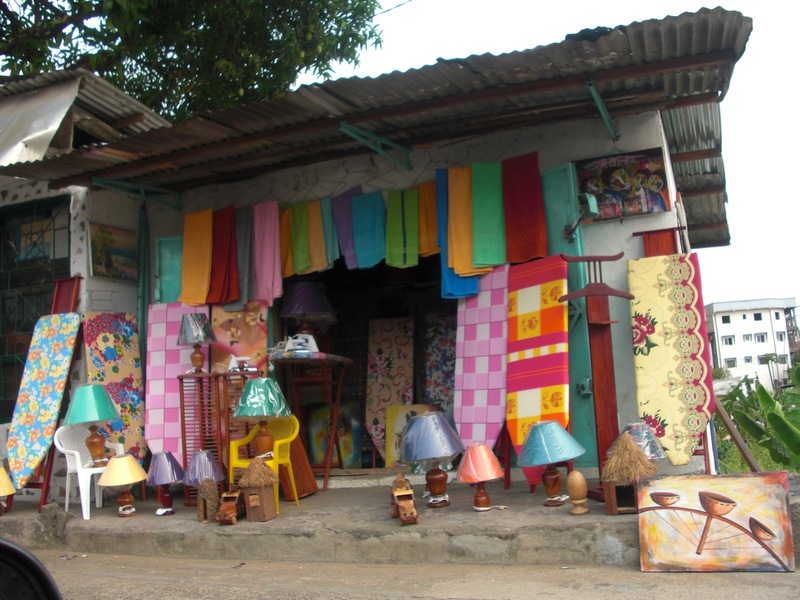 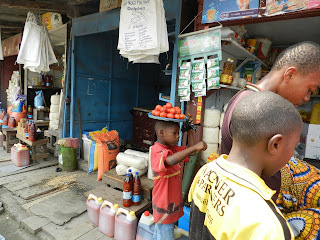 Along the roads of Douala and on the way to the Western part of Cameroon, there are shops and market stands galore. Sometimes the road seems to be one uninterrupted marketplace. 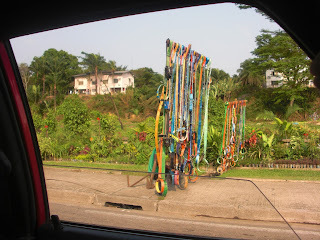 These are some of the pictures I snapped from car windows, on the go. 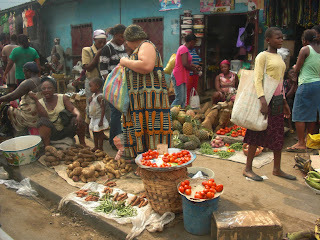 In the baskets: mystery. 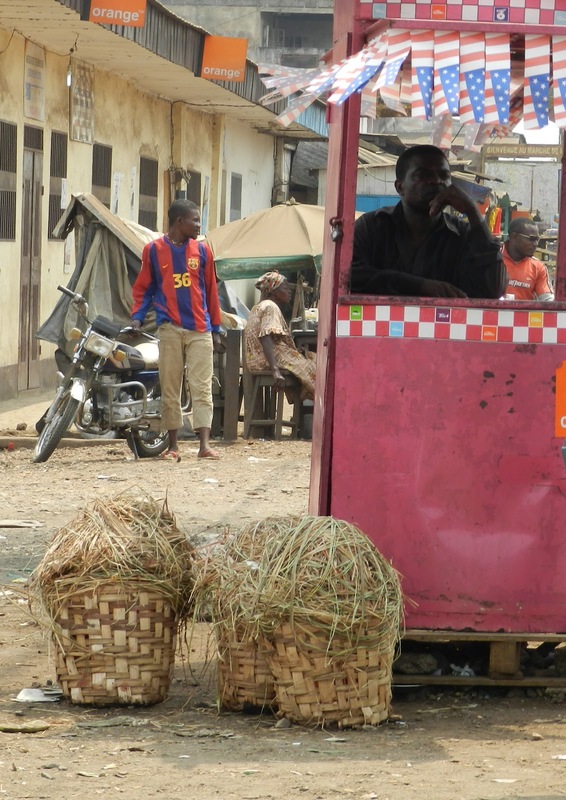 The kiosk: for cell phone refills.